2016 Honorable Mention, Professional Non-Original Without Instruction. 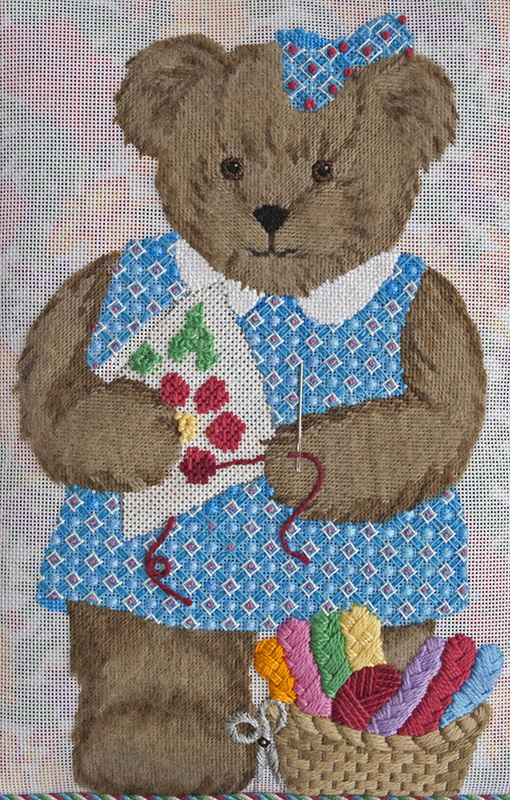 My name sake: The Needlebear. The simple pattern for the dress became a complex design. Her canvas was made to look real with 4-way continental. To make the skein look more realistic, the Point de Tresse stitch was done. Not wanting to stitch the background, I found a colorful fabric that reflected colors in the piece to be placed behind the negative space.